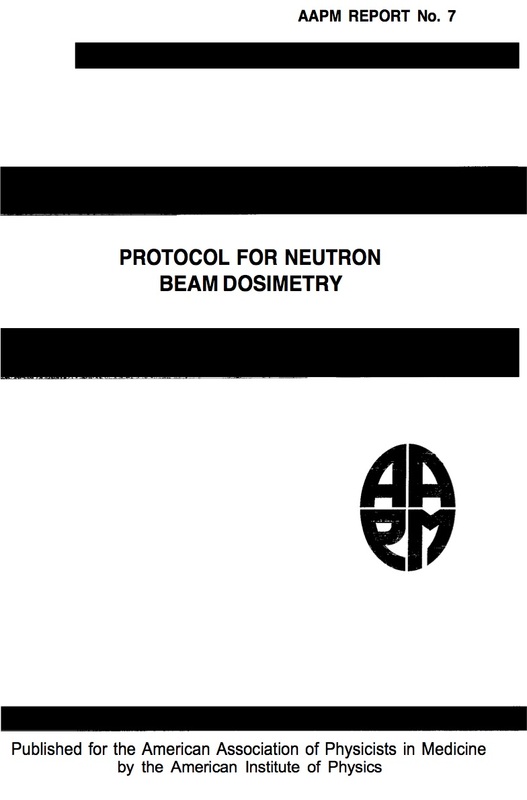 This document "Protocol for Neutron Beam Dosimetry," is the seventh in the series of AAPM reports. It contains recommendations for the dosimetry of high energy neutron beams. These recommendations are intended to serve the immediate needs of particular neutron therapy centers and to be used as a common basis for clinical neutron basic calibration. This report was prepared by Task Group 18 under the direction of Peter Wootton and was reviewed for the Publications Committee by Stephen Graham to whom we are indebted for his careful review and comments. Issuance of such reports is one of the means that the AAPM employs to carry out its responsibility to prepare and disseminate technical information in medical physics and related fields.